New Research Released on Biosceptre Int'l Ltd.
An Executive Informational Overview (EIO) is now available on a closely held, UK-based, biotech research and development company called Biosceptre International Ltd. 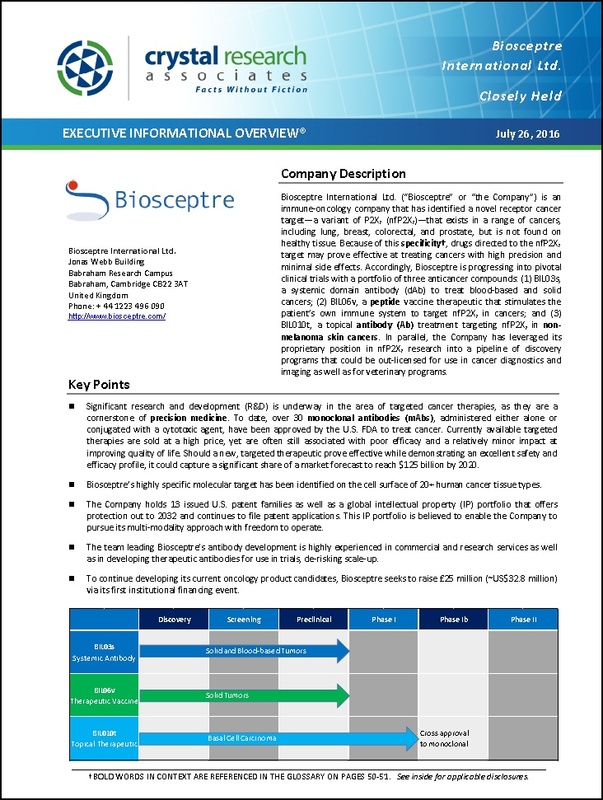 The EIO released Tuesday is a 52-page report detailing Biosceptre's business, novel technology and product development, market opportunities, competition, financials, risks, and more. It is available for download below.